For gorgeous lighting fixtures, check out the new Spillray Collection by Axo Light. 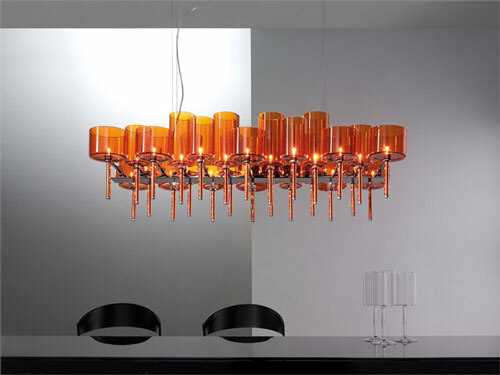 These glass lights come in crystal, orange, red and grey and are supported by chrome plated metal. The possibilities seem endless when it comes to lighting type – pendants, wall lights, chandeliers, table lamps – upside down or right side up. You get the feeling that Spillray is more than a collection – it’s practically a system. Depending on your choices, these lights can be as delicate as they can be bold. The beauty of the design is that no matter how outrageous or simple your choices are, you’ll always end up with a lighting fixture that is undoubtedly Spillray. See more interior decoration ideas at Axo Light. As the name suggests, Stressless furniture makes comfort furniture – seating products to be exact. Just looking at the images reassures that this company puts ergonomics first and that their products don’t only provide the perfect support, but they do so with design appeal to suit the interior design of your designer homes. They incorporate their own Stressless Plus System into all their seating products, from recliner chairs to love seats and sofas. There is quite a variation in style among their creations, so you can be sure that in achieving the ultimate comfort, you will also find the ultimate design ideas to suit your tastes. Visit Stressless to learn more and see the whole range of home decor products. For its artistic and practical attributes, we love this architectural room divider by Sanindusa for your designer homes. In fact, sometimes a great room divider is all your need to add some definition, privacy and visual interest to your living spaces. This one from the Casa Ideal collection is a decorative divider made of steel, featuring circles of various sizes, stacked to form a wall. In this bathroom, it effectively separates the toilet from the rest of the space without closing it off completely, thanks to its open pattern. 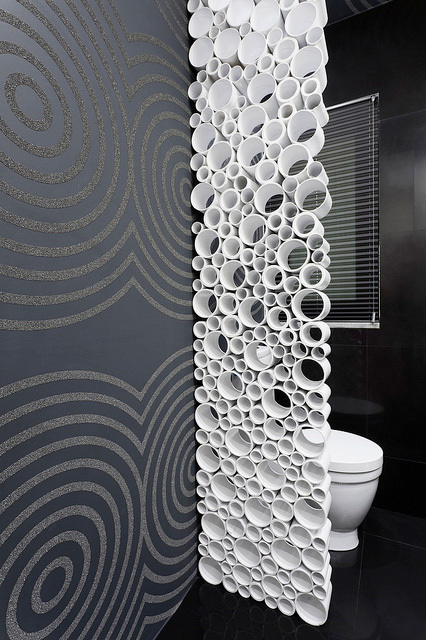 For its fashion and function, this cool room divider is a must-see! More information is available by visiting Sanindusa. 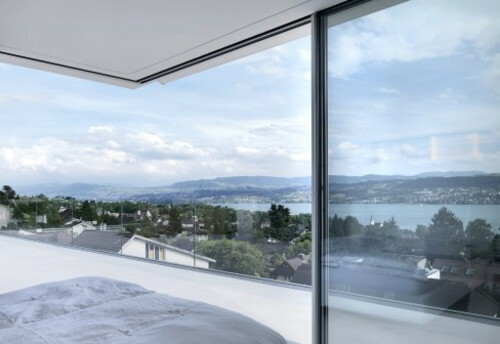 Window and door specialists Sky-Frame are blurring the boundary between indoors and out with this innovative, invisible glass door. This barely there sliding glass door protects you and your home from the elements without obstructing the view, offering the best of both worlds. The floor-to-ceiling glass is set in an aluminum frame installed flush in the ceiling, floor and wall, and the plates simply slide along as needed. When you’re in the mood for a little alfresco living (and the weather is cooperating) side the glass walls open and let the outdoors in. Excellent insulation value, water-tight, and out of sight – these award-winning sliding glass doors are the only accessory a home with a view really needs. Check them out by visiting Sky-Frame. Donbracht is clearly passionate about innovative bathroom products, judging from their sleek and modern Horizontal Shower design ideas. 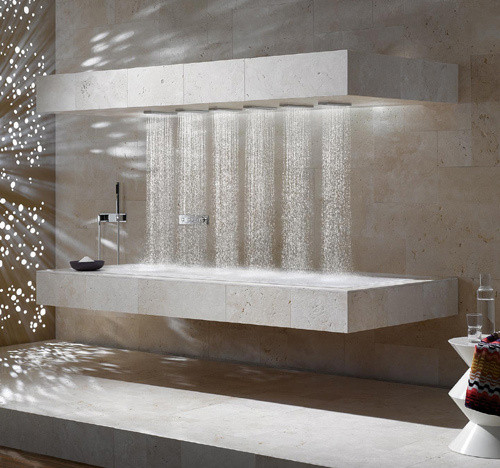 It’s a very interesting idea that merges the relaxation of a bath and the therapy of shower jets. There are six water bars that run the length of the shower block. Each bar is equipped with jets that can be remotely controlled by a panel on the block. You can choose from a series of settings for different shower effects, such as equilibrating, energizing or de-stressing. Each of the options has a specific water temperatures and pressures that vary to achieve the desired effects. You can enjoy lying on your front or back and can choose to heat the block as well. It’s like your very own water masseur. For more information on this unique horizontal shower, visit Donbracht. This new extravagant bathroom collection by Branchetti kicks it up a notch with a look that is rich, luxury, elegant. 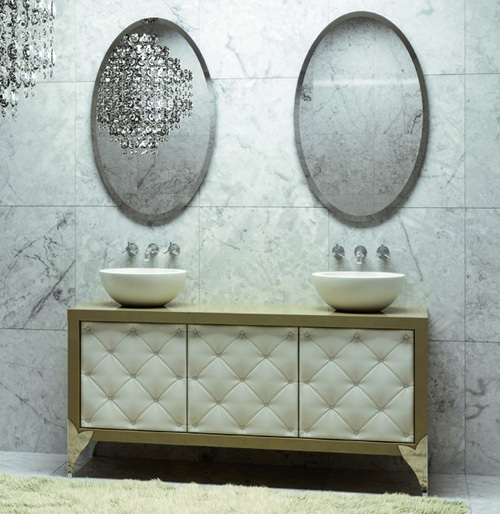 The Italian bathroom brand pairs reflective silver and gold with distinguished details like leather-faced cabinets, stylized legs and glossy finishes that exude opulence. Choose from 120 different colors and a selection of stylish sinks and accessories to complete the look of your designer homes. All you need now is a glitzy chandelier suspended overhead, and the bathroom will undoubtedly be your favorite room in the home. See these extravagant bathrooms and other home decor products for yourself by visiting Branchetti. This contemporary convertible chair is a hot spot that’s really made for how you sit! The convertible Multichair by Italian company B-LINE offers a totally custom lounging experience, whether your idea of taking it easy means sitting, lying down, leaning back or putting your feet up. We guarantee you’ve never seen a “folding chair” quite like this! The unique hinged design ideas by interior designer Joe Colombo lets you bend and move its individual, foam-cushioned, upholstered elements, for completely customizable comfort and convenience. The modern aesthetic makes it a practical and stylish addition to the interior design any designer homes. Choose from a range of vibrant colors. For more information, visit B-LINE. 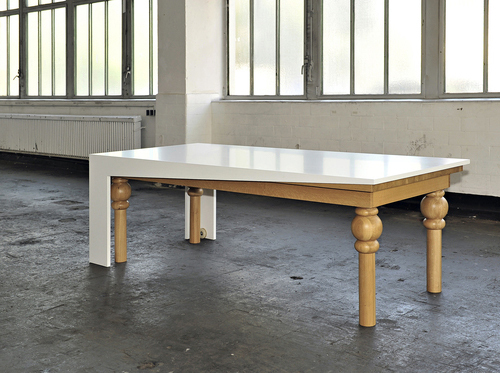 We love the split-personality appeal of this ultra modern dining table by Kisskalt. Two tables in one, half of the design are modern, glossy, minimalist design ideas while the other half is traditional German oak with carved legs and a natural finish. But there’s another cool twist to this dining table – it’s extendable. When you’re expecting a large group for a feast, or if you have a huge dining room to fill, pull the two tables apart to create an elongated piece. Slide it out to the desired length, and when not in use, one piece overlaps the other, transforming into a more-compact version of itself to fit in any size, any interior design of your designer homes. The table measures 220 / 420 x 100 cm x height 73 cm (custom sizes available) and comes in a variety of wood types. For more info on interior decoration and other home decor products, visit Kisskalt. 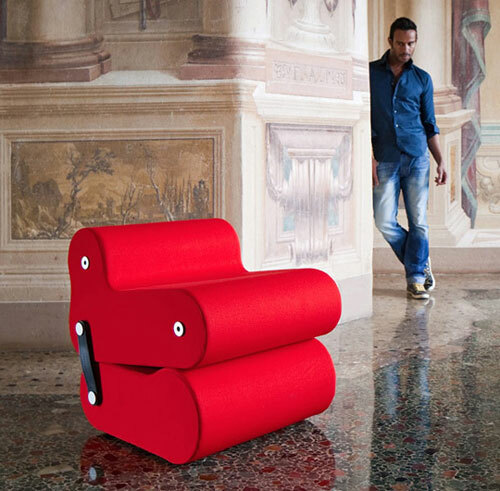 The Mobile furniture system by Raumplus gives you flexibility and fashion in one fell swoop. 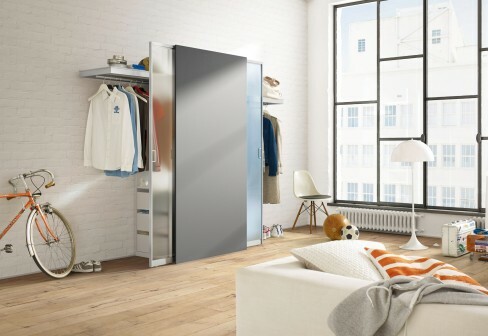 This smart and stylish storage uses sliding doors to create a closet to suit any space in terms of size and function in your designer homes. A main pocket panel conceals (and reveals!) 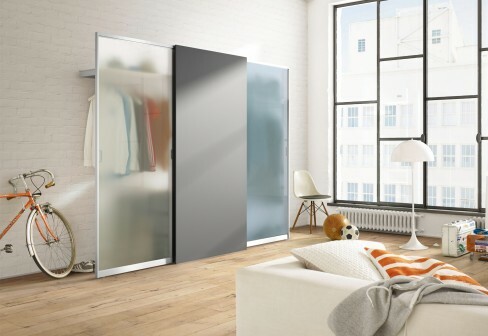 the movable doors that slide out to screen what’s behind them, whether you create a closet for your clothes, a dressing area to store your accessories and make-up, or a home office alcove complete with a small desk and shelving – easily assessable but when not it use, stylishly hidden from view. Configure this storage system as you please, with as many components as you want and need for all your bits and bobs. Options include drawers, shelves, extendable clothes racks and a tabletop. And the nice thing is, the system can be reconfigured as your needs change, or if your home does! More details on this home decor product is available by visiting Raumplus.